For the past 45 years, Rob Annesley has been involved in the creative arts. He grew up in Philadelphia, Pennsylvania, USA and was tertiary educated at the NSW Conservatorium of Music. A classically trained musician Rob spent many years playing music professionally in Australia. 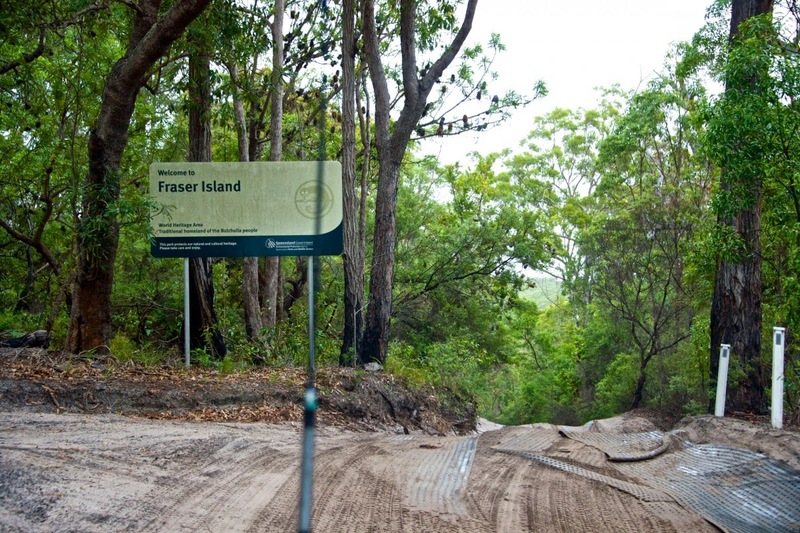 I had always had the preconceived idea that Fraser Island was the exclusive domain of the seriously intrepid explorer and a campers paradise. I had assumed that you needed to have all the canvas type gear, know how to tie knots, dig a dunny and have a strong desire to spend quality time under the stars, come rain, hail or shine. I am chagrined that as a practicing Queenslander I wasn’t better informed about the different styles of accommodations available on the island, ranging from bungalows set high up in the tree line to a 4-star eco lodge on this extremely large and diverse heritage listed island located off the coast of Hervey Bay. Not being much of an under-canvas kind of guy, it was a very pleasant surprise to find that Fraser Island had a multi star eco-lodge that caters to the more pampered traveller who nonetheless still wishes to enjoy the wilderness but in a more comfortable “roof over head” manner. The Kingfisher Bay Resort has many activities to engage kids and adults alike, and two activities that I enjoyed were the “introduction and tasting of bush tucker” and their early morning ranger guided bird walking tour. Kingfisher Bay Resort is ideally located on the lee (western) side of the island, and has daily ferry (car and passenger) services. A smooth 50 min voyage complete with coffee and snack availability, sees you disembarking on the 300m long pier, which doubles as an excellent set up fishing location complete with rod holders, seating and overhead lighting for those wonderful night fishing expeditions. 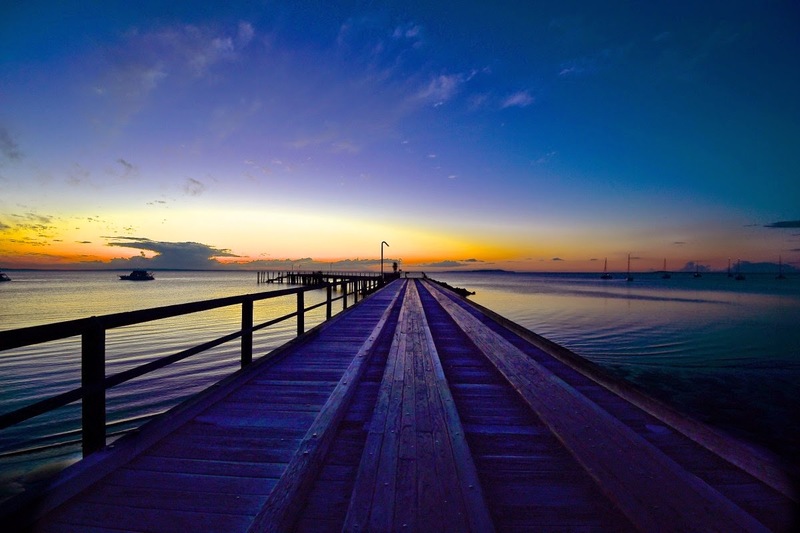 Once disembarked you are on the bitumen road which leads to the Kingfisher Bay Resort precinct. Enjoy this 1.5km of sealed road as it’s the only firm ground that you’ll feel under your wheels as the rest of the island “roads” are a mixture of soft sand ( hinterland) and firm sand ( beach) depending on the tide. Anywhere other than the resort is 4WD driveable only. The initiation to the driving conditions is immediate. Upon leaving the resort you proceed up the sealed road through the wildlife fence and across the electrified dingo prevention grid. You are immediately faced with a 400m 45 degree steep downhill grade of grey sand with bumps and ruts that would have your chiropractor smiling for a month. It became apparent very quickly why the island speed limit is 30 kph and why the 18km trip across to the beach takes the best part of an hour. The scenery on the cross island journey is varied as you travel through the usual Aussie scrub, into rainforest and finally seaside hardy plant growth. Once you break through and are within sight of the ocean, a real sense of accomplishment washes over you because you have arrived at one of the most exciting roads you’ll ever have the pleasure to drive on. It’s the beach, yet its known as 75 Mile Road, an officially registered state road complete with addresses and street numbers. It isn’t like any other road, because it is bounded on one side by sand dunes, and on the other the Pacific Ocean. 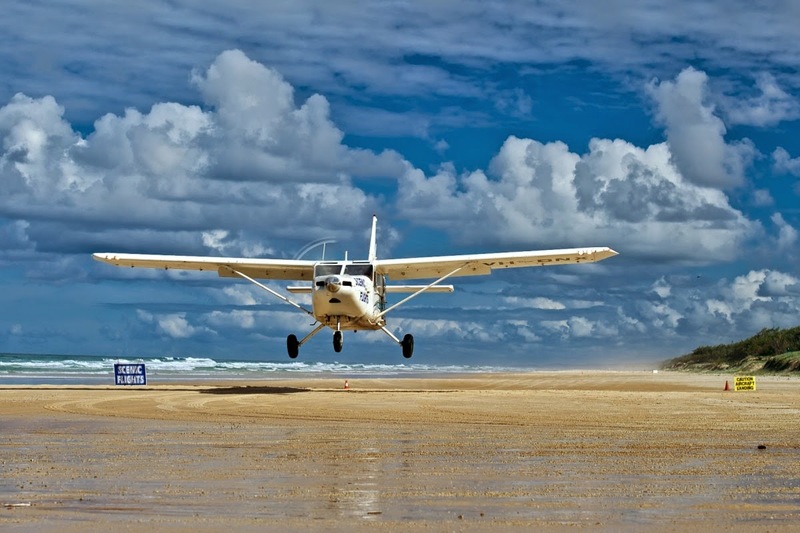 The beach is also a registered airport. Yes, this Qld state road also has a pair of single prop 6 seater aircraft that will whisk you and your party up over the island hinterland to see sandblows, hidden lakes and wilderness usually inaccessible to the visitor. The aircraft also swing out over the ocean for an exciting whale, dolphin and shark watch. Its an exciting 20 minute adrenaline rush, and gives a wonderful understanding of the enormity and magnitude of this incredible island. The road isn’t always passable due to its reliance on the prevailing tides as to whether there is enough dry sand to traverse. It is incumbent on the traveller to be aware of the tidal situation in relation to their travel plans. This is relatively easy to accomplish as the local shops on both sides of the island have that information at hand, and are very happy to provide information as to the daily tidal situations. There is so much to see and do on the ocean side of the island. Coloured Sands, Maheno Wreck, Eli Creek, Champagne Pools, and numerous sandblows and lake hikes. 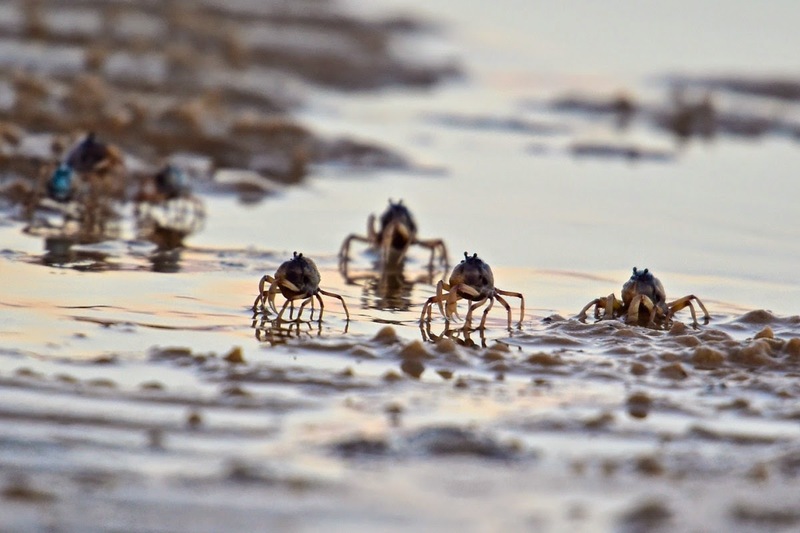 If you’re interested in a spot of beach fishing there is over 125 km’s miles of quiet sand from which to choose and definitely no elbowing necessary. 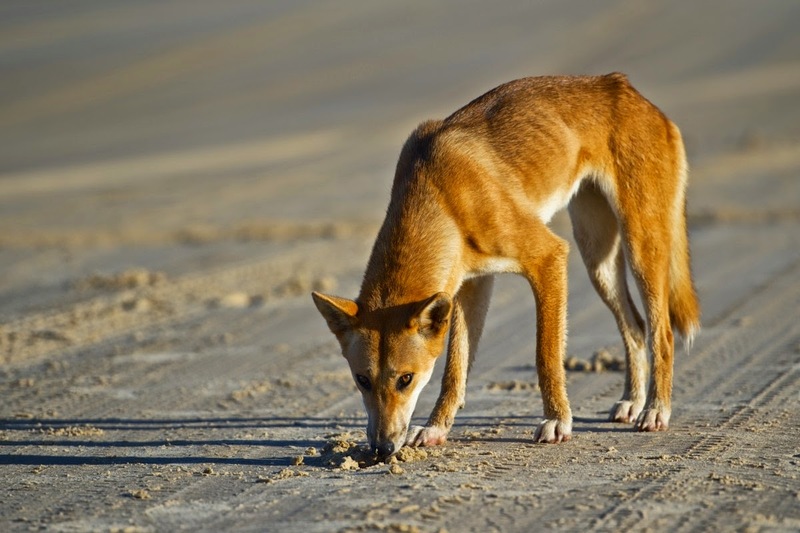 You’ll also probably be kept company by a lone dingo looking for a scrap of fish or old bait. Resist the temptation to feed them. The inside of the island features many aptly named “beauty spots”. Several of these are Lake McKenzie and Central Station. The latter is the original home of the islands commercial hub, prior to its heritage listing in 1991. The island was a major logging centre as its Satinay trees were in high demand as sailing ship masts due to the fact that this timber did not suffer from borers. This area is rainforest and is quite spectacular with crystal clear creeks and rainforest walks of unimaginable beauty. 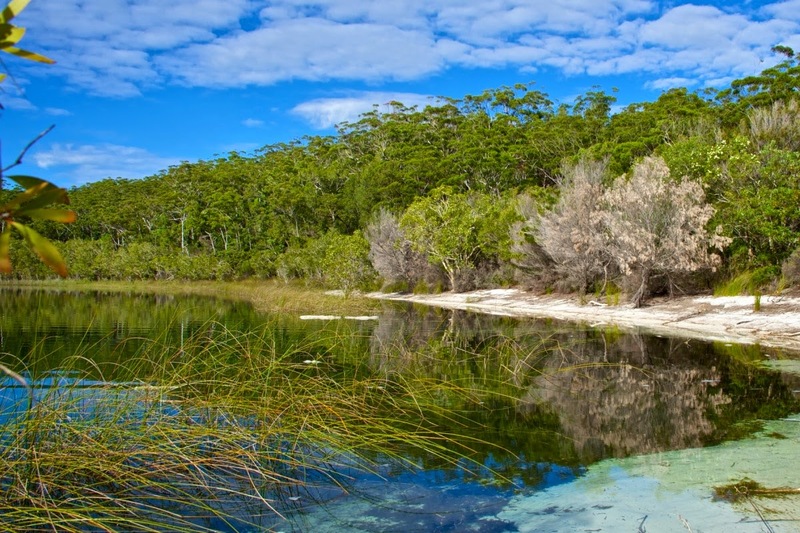 Lake McKenzie is an aquamarine crystal clear lake which is usually millpond smooth and gives beautiful reflection photography. Surrounding the lake is the finest pure white sand, and bordering the lake are white paperbarks and reedy wetlands. It is a wonderful spot for a dip on a hot day. Apart from the islands many natural attributes the Kingfisher Bay Resort is a major part of the natural island experience. The resort has developed an exceptional synergistic relationship with its surroundings, particularly building its eco-resort accommodations so as to ensure that the whole wildlife experience is within view and immediately at hand for the enjoyment of its guests. The resort features surrounding wetlands, known as The Wallum, which can be enjoyed from the back balconies of most of its units. 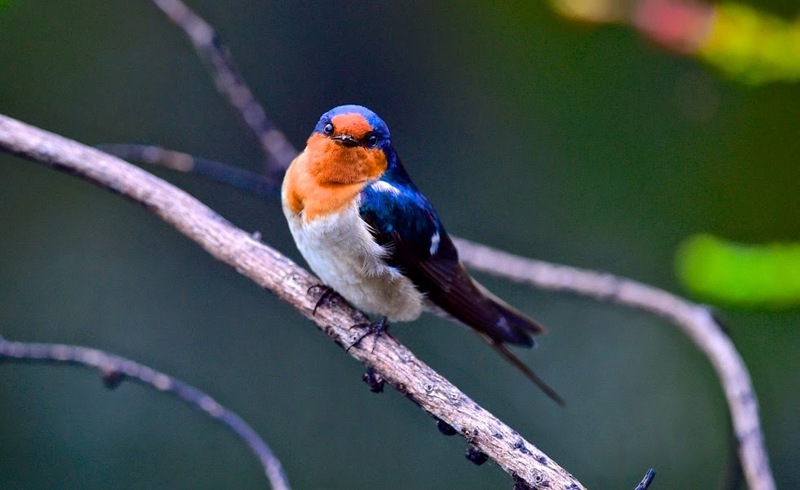 It features dozens of bird species which can be seen each morning and afternoon. Hiking tracks are easily accessible and well marked. 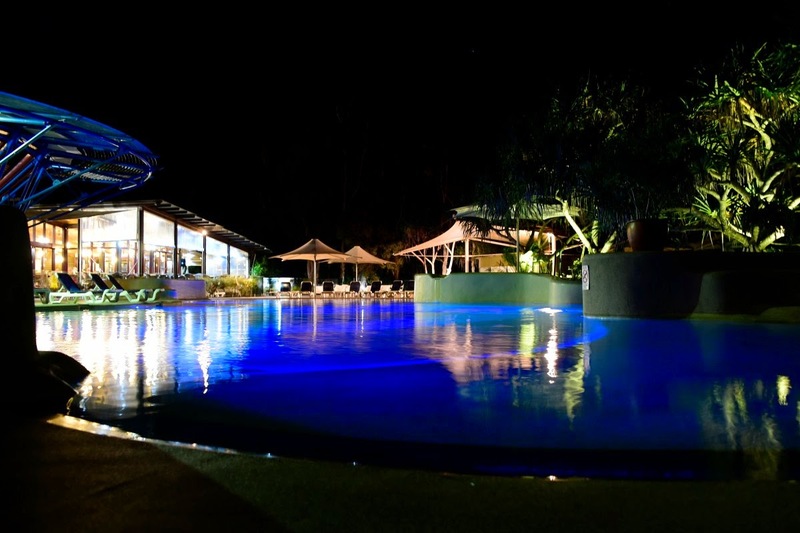 The resort is also exceptionally well positioned to show off the evenings sunsets, creating spectacular imagery from the beach and pier most nights. I guess that’s why the resorts Pier Bar is a popular place to enjoy a cocktail and a tasting plate for those who wish to enjoy the evenings’ grand colourful views in style. Be sure to get there early, as the tables and chairs fill quickly, and then its standing room only. I’m so glad I finally went to Fraser Island. There is so much to explore and I cant wait to go back to enjoy the complete Fraser Island experience again. This blog was originally published on 15 January and is reproduced here with the permission of the author. All rights reserved.